Shopify is one of oldest eCommerce platform with paid service, you can get cheapest plan at $13 / month. According to market research Shopify rated 10/10 for eCommerce service, in last 12 years the company power more then 220K e-shops world wide. 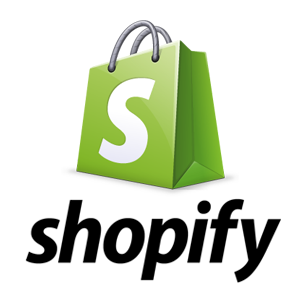 As compared to it’s rival Shopify is more user friendly and doesn’t need any coding skill to setup and run the store. Shopify offer beautiful themes for every kind of store for free, some premium themes are paid. Basic Plan – $13/month: Basic plan comes with a website, SSL, blog and store. You can upload unlimited products to website and get two staff accounts. Shopify Plan – $54/month: This plan include all basic plan features and additional you get five staff account to manage shop with Abandoned Cart Recovery, Fraud Reports etc. Advance Plan – $107/month: You’ll get 15 staff user accounts with features of Shopify Plan. Plus you can manage third party calculated shipping rates and advance report builder. Final Words – Shopify offer you eCommerce website including hosting, CMS, Marketing Tools and beautiful themes. All plans support unlimited products. Initial shop setup for some users might not easy, cost of more then a self hosted eCommerce website. Magento is PHP based open source software like WordPress. You need a hosting space and developer (who have skill in Magento). You can customized Magento as your store needs, it’s nature of highly customization make it more useful for core eCommerce store. Free and paid template are available, you can directly install theme using admin panel. Since Magento is open source so it’s free but the company offer Magento Go service that is paid and come with hosting and other integration. Final Words – Magento is free, flexible and highly customizable platform comes with strong SEO approach. You need to hire a developer to setup your store this may increase your website cost. WordPress powered Woocommerce is free (you may have to pay for third party plugins and extensions), around 28% of eCommerce websites are running on this platform. WooCommerce is simplest and anyone can afford it. Startups and small business owners prefer WooCommerce cause you don’t to spend anything to build online store. All WordPress plugin and template are fine with WooCommerce. Payment getway can be directly integrated using merchant info, Paypal and other popular payment getway provide plugins and extensions accept payments. Final Words – Free and easy to use WordPress based software, this can be integrated with any existing WordPress website in five minutes. Thousands of free and paid plugins / extensions are available to customize your store. Just like name BigCommerce is perfect choice for Large stores, currently using by number of multinational brands like Toyota, Camelbak and more. You need a domain to build your e-shop with BigCommerce (if you don’t have that you can buy one while sign-up process). BigCommerce plans and services are hassle free but comes with costly plans. You can also sell your products on Amazon, Facebook, eBay etc with one click. BigCommerce accept payment from payment gateway as well as mobile wallets. All plans comes with SSL, website builder, zero transaction fees, unlimited storage etc. Plus Plan – $79.95/month: $150K max annual sale with Abandoned Card saver and Customer Groups features. Pro Plan – $249.95/month: 400K max annual sale limit with plus plan feature, additionally you’ll get product filtering with Google customer reviews. Final Words – You get SSL certification, marketing tools and unlimited storage and unlimited products with all plans. BigCommerce is costlier then self hosted website and only suitable for large enterprises. BigCartel offer eCommerce services to small and medium stores. Their services are available free of cost and paid. You can list 5 product with BigCartel url for free. BigCartel have three plans with max 300 products. Initial setup is quite simple, add product define your categories and finalize payment process. Website builder is almost similar to WordPress, themes are available to install directly. Final Words – BigCartel is very simple to use and available in affordable price, you’ll also get iOS app. Product variation and inventory features are limited. If you are looking to build eCommerce website then you can get a free quotation by clicking on link given below.